Here we are in India. It is quite difficult to believe that we have only been in India for a couple of days. Already Australia has dropped into the black hole of the past. The flight is long. 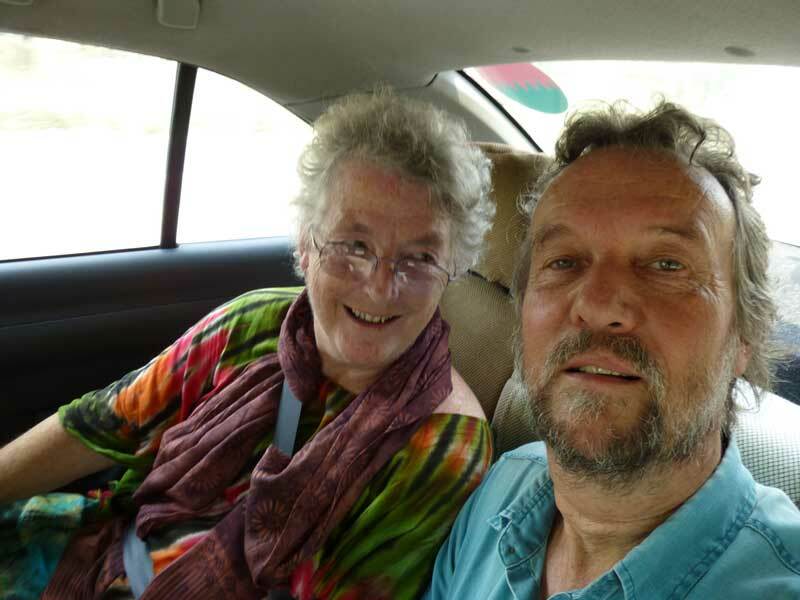 Amon picks us up at 10 pm on Tuesday 7th May for the flight from Brisbane at 0230 and we arrive at the Hotel City Star in Delhi at 9.30 pm after a journey of more than 24 hours. Luckily the Emirates flight keeps us entertained with endless movies and food at regular intervals. The hotel is great and we are happy to spend our first day in India lazing around, getting in some sleep and generally doing nothing much. A couple of walks in the local area and an exploration of the station just down the road defines the limit of our adventures. Friday May 10th. We have woken early because today is going to be an exciting one. Our first train journey. We are like two little kids setting off for the station. It’s 6:45 and our train will leave at 7:20. We revel in the thought of the first class air conditioned carriage we are about to occupy on our journey to Amritsar. We arrive at the barrier for platform 1 and train 12029 the Swarna Shatabdi Express. The man at the barrier asks to see our E-ticket. I show him and now he is asking for our boarding pass. Doh! I knew that I would stuff something up! I say I don’t have one and he says that if you get on the train without one the fine is $195 each if you get caught. Too late to get one now but we might get you on a later train if we go to the main booking office in Conaught Circus. We follow him out to a taxi and are rushing through Delhi to the booking office, where an extremely nice railway official now looks for alternatives. Alas he says, all the trains are fully booked today and tomorrow. He suggests a bus, but after talking to the bus company all the buses are full as well. 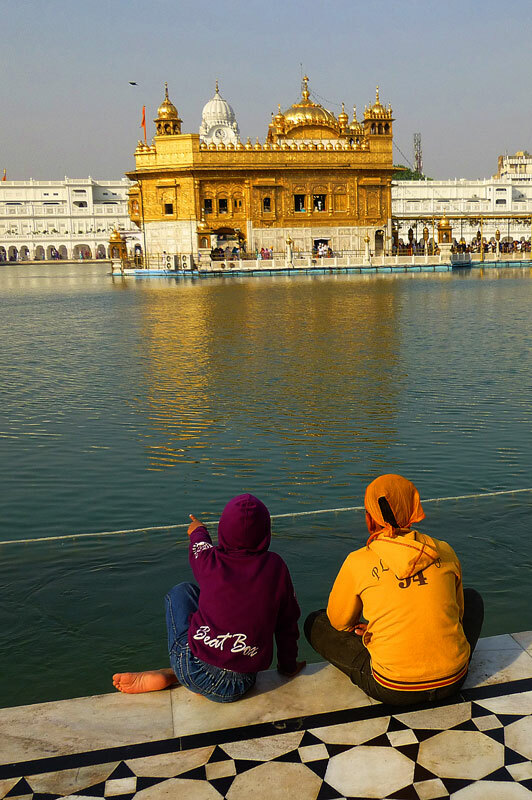 You must realise that it is holiday time for the schools and Amritsar is a holy place for the Sikhs. You will have to stay in Delhi for a few more days unless you want to take a car. 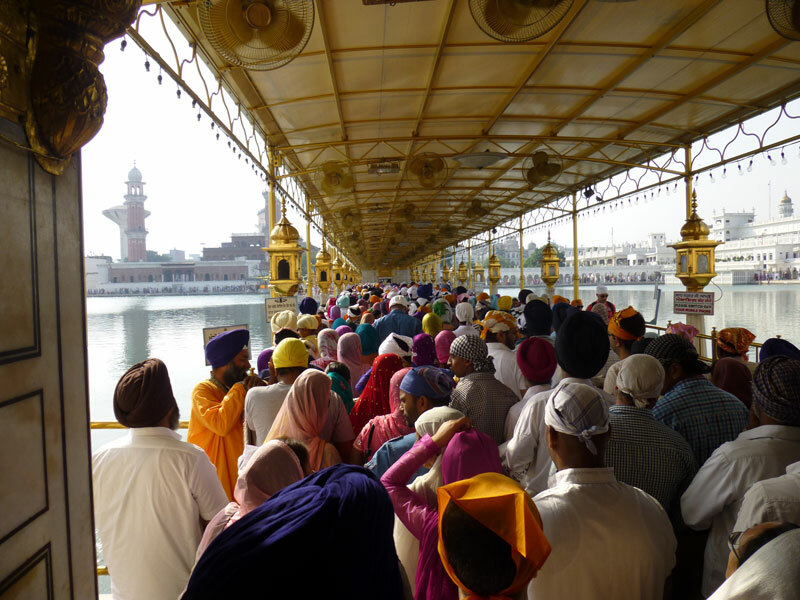 We have a hotel booking for tonight in Amritsar and want to get there so we think we will go for the car. He explains to us that this is government car and includes all road tolls, border crossing fees for the two state borders and driver meals and of course for the return journey for the driver. The price may seem expensive but it is 500 km and you will be fully insured so you can feel quite safe. We hand over the $350 and the driver is there before we know it. Out we go to the car, new and air conditioned and now we are moving through the outskirts of Delhi feeling pleased with our selves that we will at least make Amritsar tonight. A question has appeared unbidden as I look out at the passing country. Who was that man at the barrier? He wasn’t wearing any sort of badge. How was he able to just leave the station like that? A light turns on in my consciousness. We have been well and truly conned! Here I am, the experienced traveller falling for such a simple trick! Oh dear! My first thought is to admire the sheer skill of the ruse. Then I notice how lucky we are to be able to hand over such an amount without it really affecting us too much. The power of a statement made with authority is really incredible. I see how people get talked into so many things that are not in their best interests and even defend them with great passion. What an insight is here to be had! We chat about it for a while and notice the temptation to be angry, but at the same time we have a choice as to how we react and anger is not the choice we make. We are comfortable and the miles are slipping by and we are on our way to Amritsar and the famed Golden Temple of the Sikhs. What could be better! Sat 11th May – we are eating breakfast in our room. 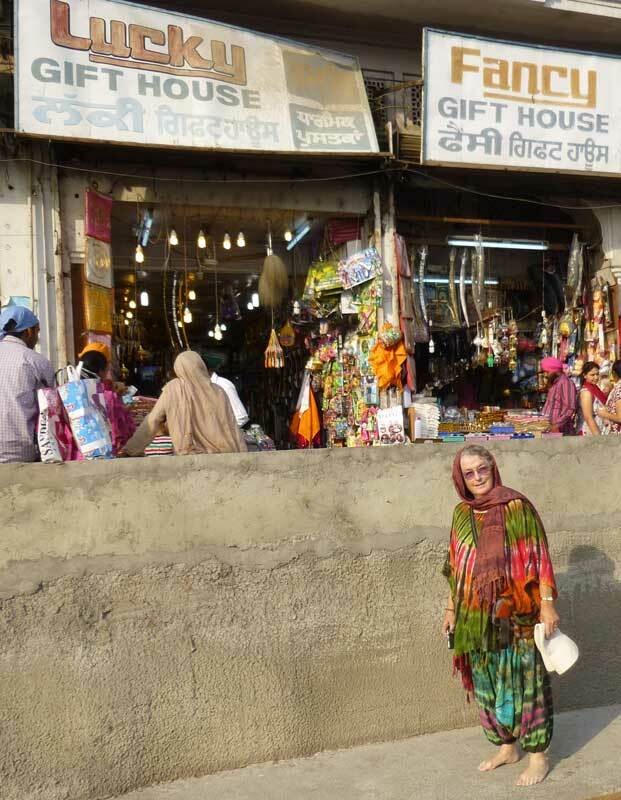 Now a tuk-tuk ride across the city, now leaving our shoes and donning our headgear – I wear a scarf bought for the purpose. Wonderful photos and great story!